One of the best parts of blogging is sharing what I *LOVE* with you! The ideas and creations I love. Today I get to share one of my favorite people with you along with some of her new creations--that I absolutely LOVE. 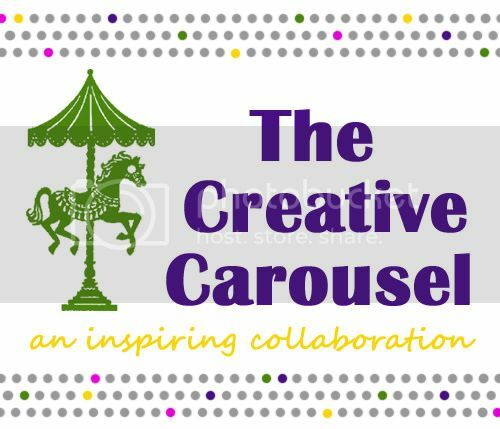 MilkDust Creations has a brand spankin' new etsy shop! Today she is giving away this gorgeous vintage tea dyed lace dangle earring frame to one lucky Oopsey Daisy reader. Don't you just love the aqua satin with pearls?! What a fun way to organize your earrings! I love everything about this frame!! And one of you can win it! It's hard to find a cute wipes case for boys. I could definitely use this one for Little Man! 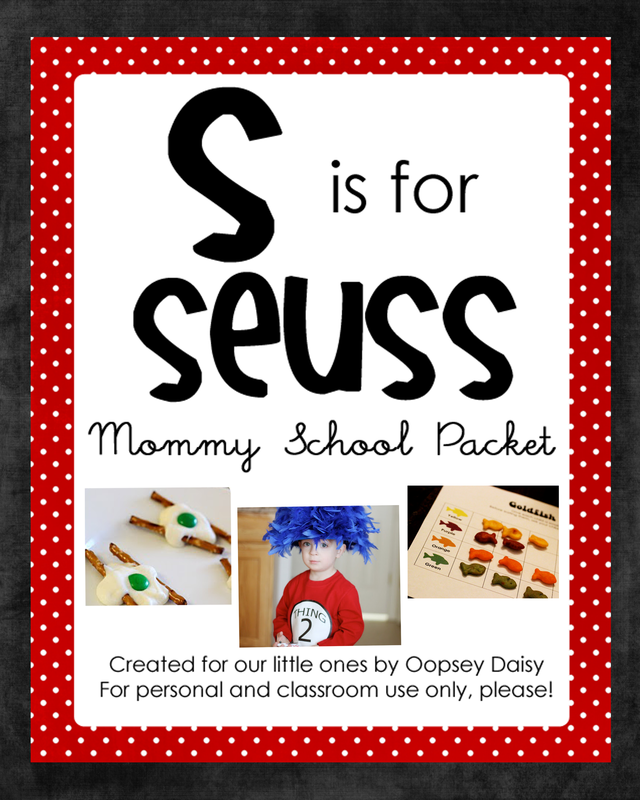 There are more fun items for baby in the MilkDust shop. I am definitely crushing on these adorable Easter bottlecap magnets! You can find fun digital invites in the shop like these Easter egg hunt invites. 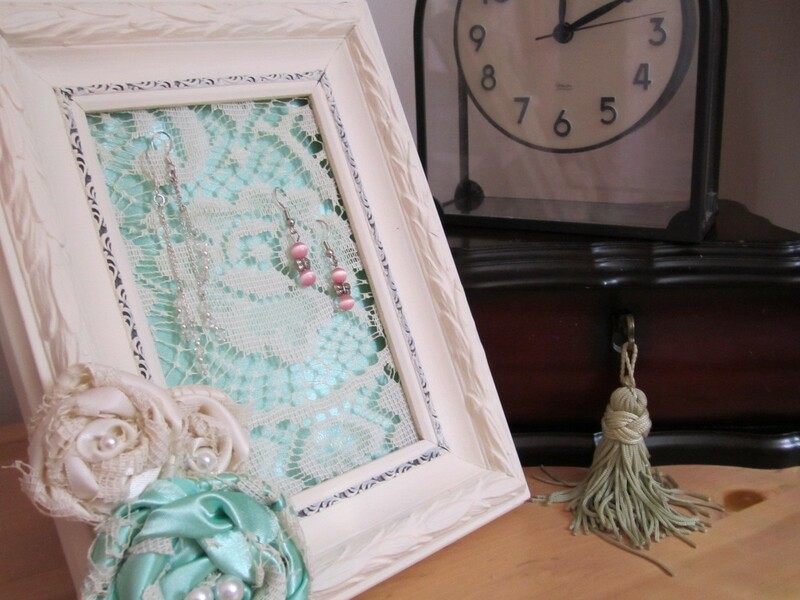 So who's ready to win the gorgeous vintage lace earring frame?! You have 5 ways to win! 1. 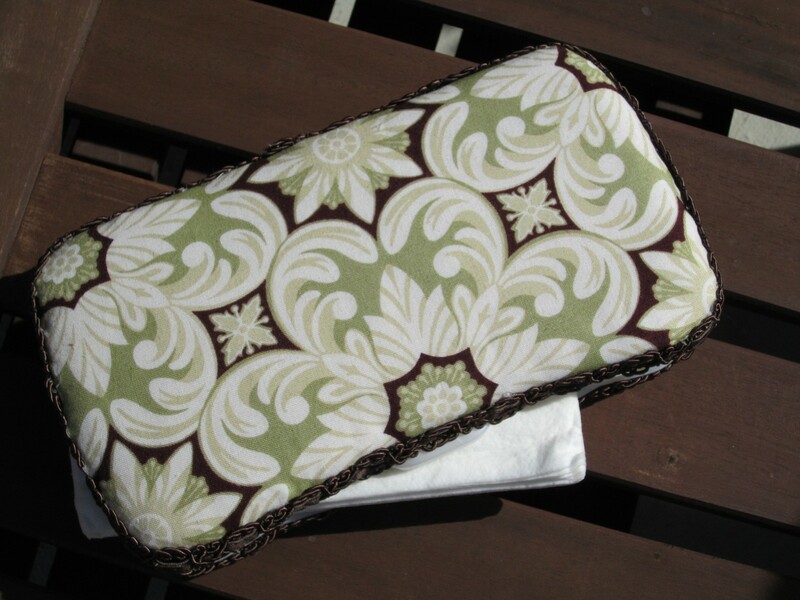 Browse MilkDust's etsy shop and leave a comment telling us your favorite item. 2. "Heart" MilkDust on etsy. 3. "Like" MilkDust on facebook. 4. Send out a tweet to spread the word about this giveaway. 5. Follow Oopsey Daisy or let us know you already do! The winner will be selected this Saturday at midnight and will be announced on Sunday. Tomorrow, tune in for my favorite ruffles project yet! 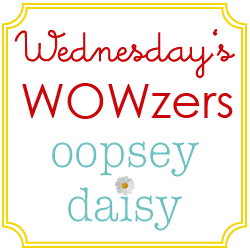 I follow oopsey daisy blog! I like Milkdust Creations on FB. I heart Milkdust Creations on Etsy! I love the "Smile" rosette frame! How adorable! That frame is my absolute favorite thing in the MilkDust shop. LOVE IT! I ♥ MilkDust Creations on Etsy. I follow the blog. The frame is gorgeous! I "liked" her page on Facebook! I love all her handmade cards and tags! I like Milkdust Creations on FB! I already follow your blog! It's my absolute favorite! I love the Darling babygirl clothing! I like the lovely and simple 3 card set. I am in love with the Vintage Lace Dangle Earring Frame! I would love the diaper wipes case! I also "hearted" it on my Etsy profile. The Cupcake Birthday Card is so adorable! Love it! But my favorite would have to be the lace earring frame! love the vintage inspired bottle cap magnets! 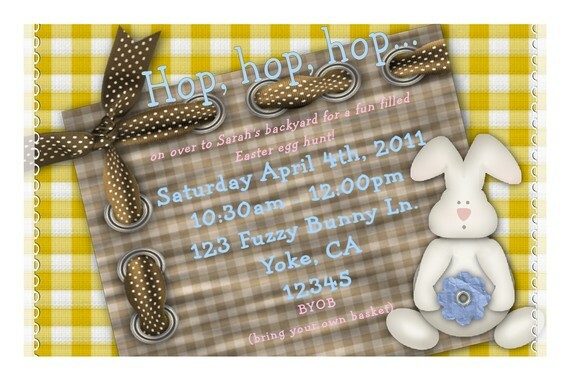 I would love the baby shower digital invutes from her shop. So many of my friends are pregnant! I like the cute little tags and the wipes case….mine is falling apart and you are right it is so hard to find cute ones for boys! I visited MilkDust's etsy show. I love the Brown Cream and Rustic Blue Wooden "Smile" Shabby Chic Rosette Frame. 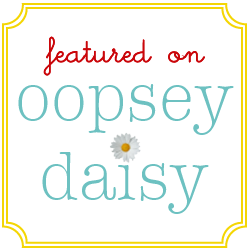 I follow Oospey Daisy blog! and love it! I love all the cards! I wish I had that kind of natural talent! I love the personalized darling baby boy onsie! I like the frame you are giving away, but all her stuff is cute! Thanks for the giveaway. I love the heart party favor boxes! I love all of the magnet sets! The vintage lace earring frame is adorable! I love love love the cupcake onesies! Too cute!!!! I like Milk dust of facebook! 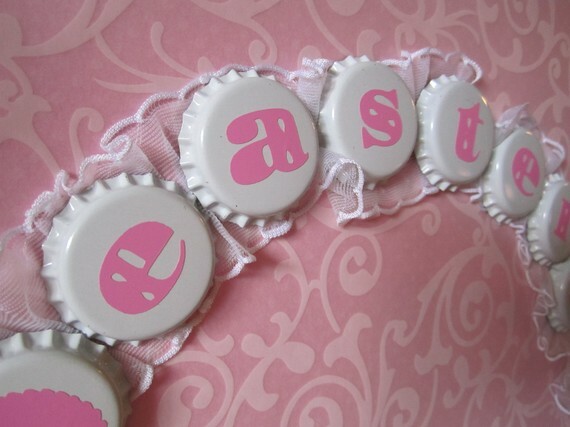 Too much cute stuff to choose a favorite, but I love the bottlecap magnets! That's such a cute earring holder! I really like the Brown Cream and Rustic Blue Wooden "Smile" Shabby Chic Rosette Frame as well. I heart Milk Dust on Etsy. Username tigg90. I like the smile rustic wooden sign from her shop! I'm an oopsey daisy follower! I love the flower bouquets! I love the custom handmade bouquets! My favorite thing in the Milkdust shop is the bouquet!!! I <3 her on Etsy! I love the cupcake onsie on etsy!